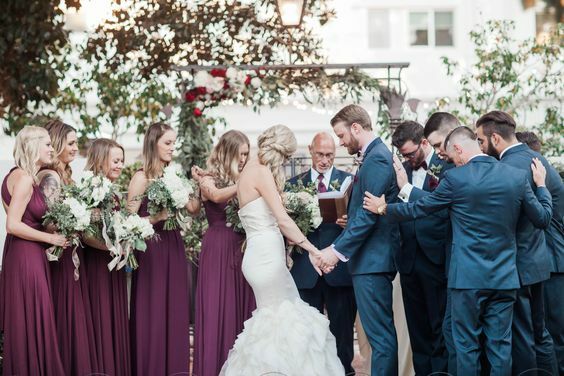 My Marine and I are getting married in the winter and I'm the type of person who needs things to match! Especially since this will be once in a lifetime event and I just want everything to go good. However I'm have difficulty picking out a color scheme and need opinions. I want something to match the dress blues and that will look good in the winter time. I'm thinking about either about a deep red color or plum. My favorite color is purple but I'm not sure it matches well with his uniforms but my Marine likes a deeper red. I was considering blue! but then I thought that there might be too much blue. So I just narrowed my colors to deep red and plum. Both of those would look sharp with dress blues. Having everything the same blue might be a little much but I really do like the look @southernbelle0915 posted. 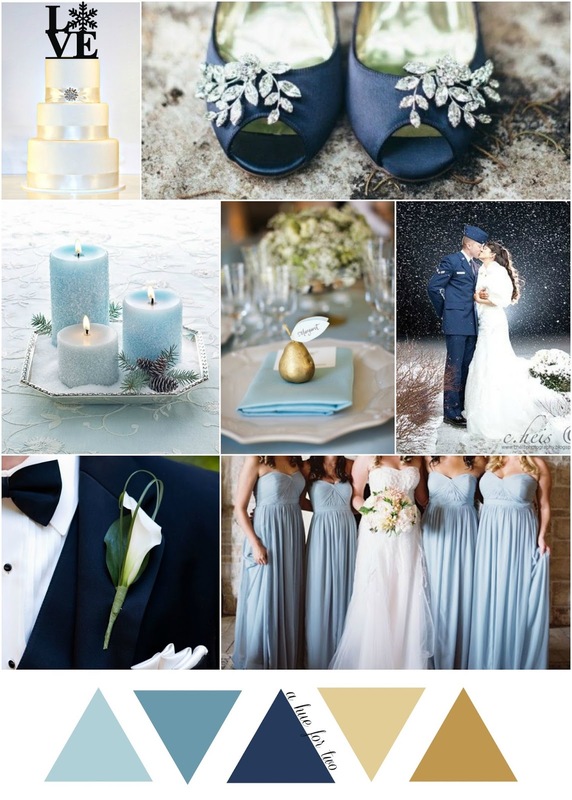 Think of the "icey" blue tying together both the winter setting and your groom's uniform! 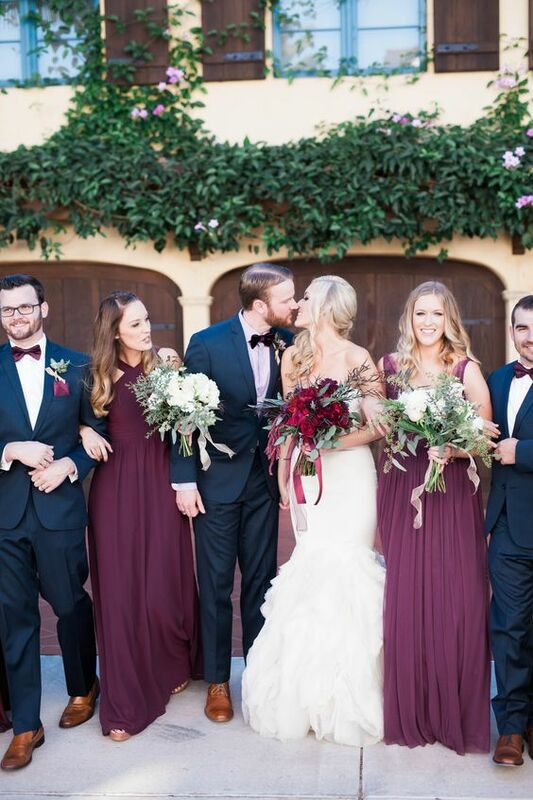 If you're set on red/plum, this November wedding may have some of the elements you're looking for. @mollybarker11 I LOVE that color! What color would you call that? @Marine18 I would say "aubergine" maybe.